Yes, it’s been awhile since our last episode of “Lost Parks of Northern California” but I can assure you – the wait is worth it. 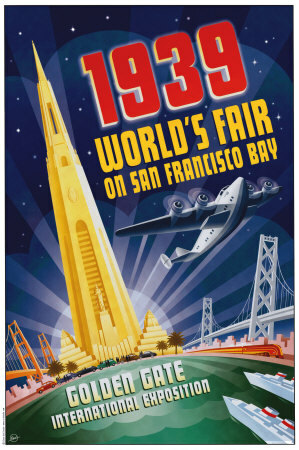 Presenting the first teaser trailer for our next episode, the 1915 San Francisco Pan Pacific Exposition (World’s Fair). We expect to wrap on the episode and debut it before #CoasterCon this summer. If you’re a fan of amusement parks, roller coasters, history, organs and trains – you cannot afford to miss this episode! Follow the journey by searching #LostParks on your favorite social media network! Many apologies for the lack of updates on the site as of late – we’ve been working several different major projects that have required a bit more of my time and attention. That being said – they’re going to be EARTH SHAKERS when we can release more information on them, so stay tuned! As for the “Lost Parks of Northern California” – if you follow us on social media, you know we’re already hard at work on principal videography on the next episode – this time, focusing on parks designed to be lost from the beginning – the 1915 and 1939 World’s Fairs of San Francisco. As you can imagine – there’s a TON of work and locations involved; coupled with our skeleton “staff” of volunteers, it’s going to take a bit longer than other episodes to produce – but if you’re fans of our work on previous episodes, you already know that the wait will be well worth it. Be sure to follow the journey by searching / using the #lostparks hashtag on your favorite social media account!